Keep You Sink Hair-Free After Every Shave – Starting Today! Do you like keeping your facial hair clean, neat, and perfectly styled? Aren’t you sick and tired of having to clean up a whole mess of hair every time you so much as trim your beard a bit – or have your ear chewed by your wife, girlfriend, or roommate? If the above sounds a bit too familiar to you, then you’re certainly on the right page. This amazing hair catcher shaving bib is exactly what you need! Clean Cut Premium Beard Bib -The Essential Shaving Accessory No Man Should Be Without! No matter whether you favor a crisp, clean look, or a rich beard, your facial hair needs to be trimmed, shaven, or taken care of every day. For that, there’s not much you can do. What you CAN do, however, is save yourself the trouble of having to wipe your bathroom’s sink and floor clean from all the hair trimmings and clippings, or risk getting a clogged drain and the scorn of whoever you share that bathroom with! Deceptively Simple, Amazingly Practical – A True Genius Idea! As with every truly innovative idea, using the bib is unbelievably simple, and yet saves you a whole lot of cleaning! Just put the bib on, secure their bottom end on the wall or on the mirror you’re facing using its ultra strong suction pads, and shave or trim your beard as usual. When you’re done, all you have to do is empty the bib’s hair trimmings in the trash, and smile at how spotlessly clean your bathroomand sink is! Order Your Own Clean Cut Premium Beard Bib! A MUST HAVE FOR EVERY MAN, BEARDED OR NOT! 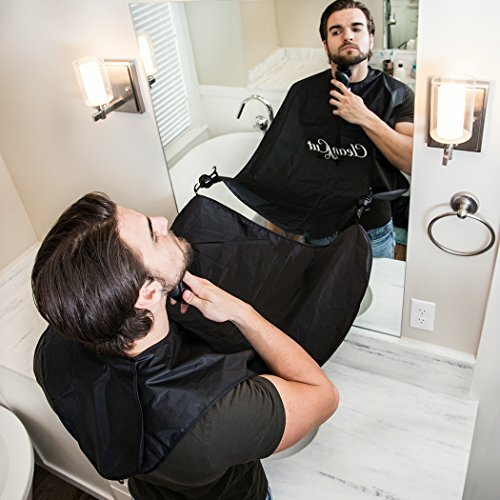 – Beard, moustache, 5 o’ clock shadow, or a clean shave -no matter how you like to groom andstyle your facial hair, this premium beard bib is here to make your daily life much easier! KEEPING YOUR BATHROOM CLEAN HAS NEVER BEEN EASIER – You can safely forget about bathroom sinks full of hair trimmings and clippings, clogged drains,and having to pick every hair up or risk hearing an earful. Just wear this amazing beard bib, pop the extra strong suction cups on the mirror, and voila! The bib will catch all clippings, trimmings, and hair before they even touch the sink! PREMIUM QUALITY YOU CAN ACTUALLY TRUST – When it comes to our premium beard bibs, cutting corners is not an option. We make a point of using nothing but the finest fabrics and materials we can get our hands on, as well as cutting edge production processes and strict quality control! LITERALLY COULDN’T BE EASIER TO USE! – You don’t have any excuse NOT to use this amazingly handy beard bib. After all, it’s not rocket science: wear it, stick the suction caps to the wall or mirror in front of you, and you’re ready to go! A PRACTICAL & THOUGHTFUL GIFT FOR ALL MEN – Are you looking for a nice and thoughtful gift for one of the men in your life – or even a way to prevent them from making a mess in your bathroom every time they shave? Well, look no further! This amazing beard bib is exactly what you’re looking for! 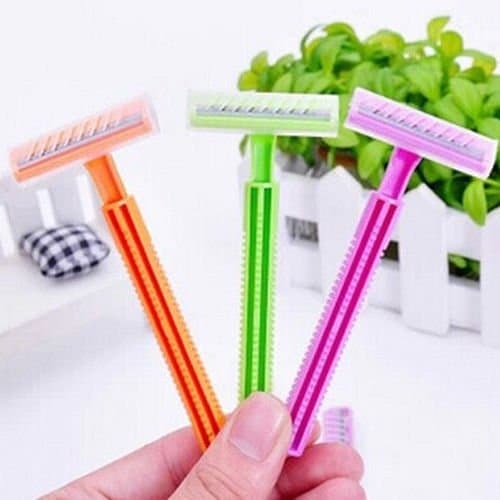 NO MORE UNATTRACTIVE FACIAL HAIR – The amazing facial hair epilator will quickly and easily remove unwanted facial hair in the comfort and privacy of your own home. No more squinting in the mirror with a pair of tweezers. CONVENIENT & EASY TO USE – The is small, portable enough to travel with, and does not require batteries or maintenance. Simply use in the convenience of your own home, at work, or on vacation. Quickly and easily removes facial hair from the root, saving you time and money booking hair removal appointments with a specialist or beautician. The lovely design is very small, enough to travel with. No more messing with creams, depilatories or shavers. Simply use in the convenience of your own home, at work, or on vacation. Just bend the coil into a “U” and twist to remove hair! 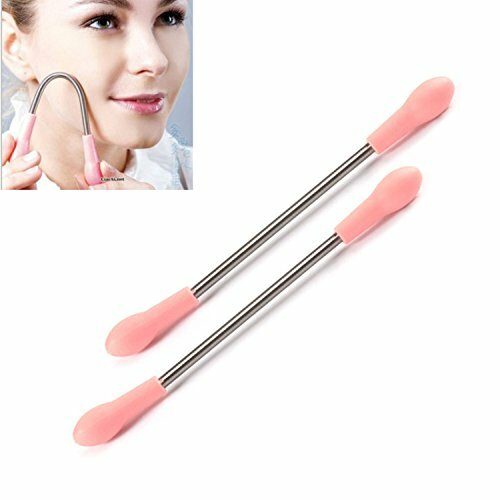 Smooth skin that last results from spiral threader outlast those from depilatory, shaving and tweezers. It will pull hair from the roots and won’t grow back. Overtime, you will find you use it less and less frequently.